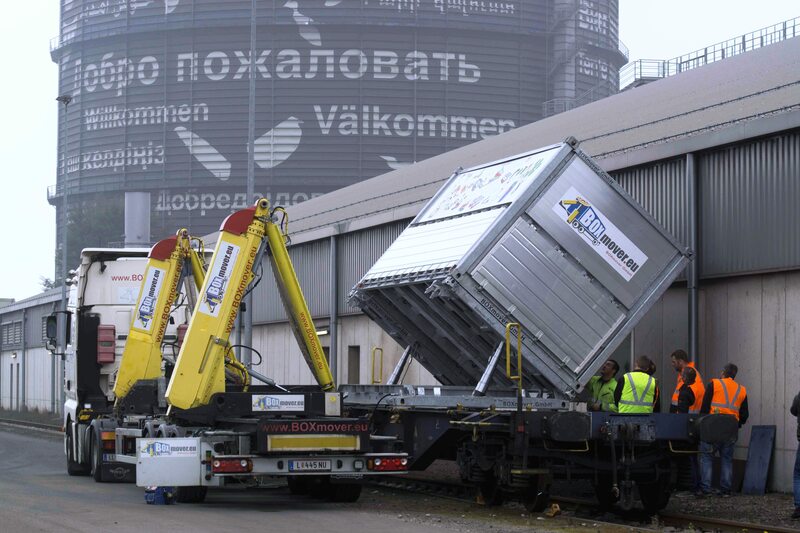 The flexible use of the BOXmover tipping container is guaranteed by the BOXmover tipping unit. You can use the BOXmover tipping container with any manipulation unit (truck, train). The BOXmover tipping unit makes it possible. 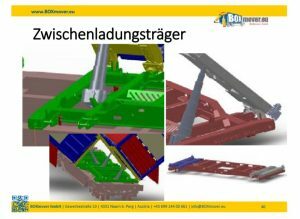 If required, it is placed on the standard container wagon carrier and underneath the BOXmover tipping container. The BOXmover tipping unit allows you to tilt on both sides. You are not dependent on any other equipment. Since the BOXmover tipping container has the outer dimensions of a 20 ft ISO container box, the size of a high-cube container is achieved with the BOXmover tipping unit. What do you miss if you do not use the BOXmover tipping container and BOXmover tipping unit? Find out – but first of all, this innovation is unbeatable. The modular, hot-dip galvanized design not only allows you versatile applications, but also cost-effective maintenance. 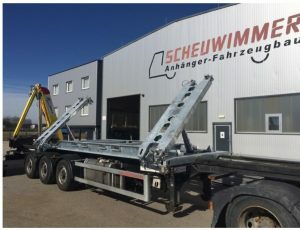 In the case of remedial maintenance you can replace the individual modules simply by loosening the screw connection. You can transport bulk goods on one transport route and finishend products (by pallet) or products in loading equipmen on the return journey. The BOXmover tipping container concept reduces idle times. Use existing container terminals, avoid idle times, and minimize fluctuating workloads with BOXmover GmbH. Minimize your costs for empty container management. 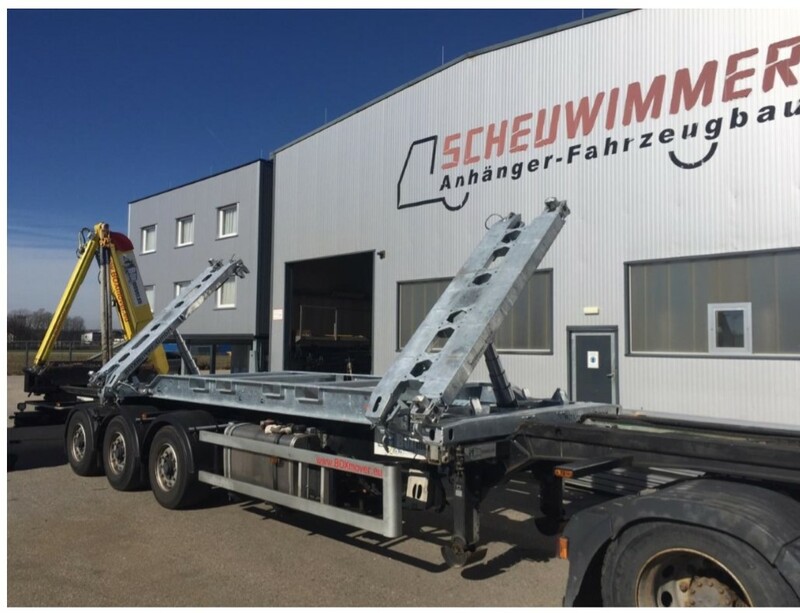 If you use the BOXmover tipping container both on the lorry and on the train wagon, you will achieve optimum capacity utilization and innovative logistics. Uncouple yourself from old systems and with the help of BOXmover GmbH you will become innovative in your logistics!